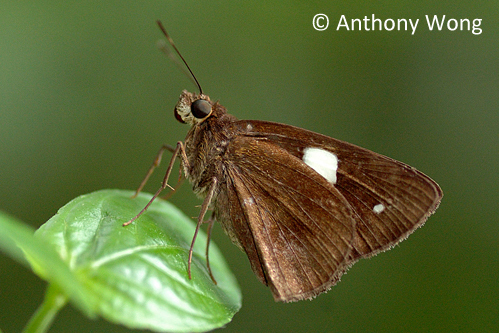 The Banded Demon is a small swift-flying skipper and is relatively rare in Singapore. 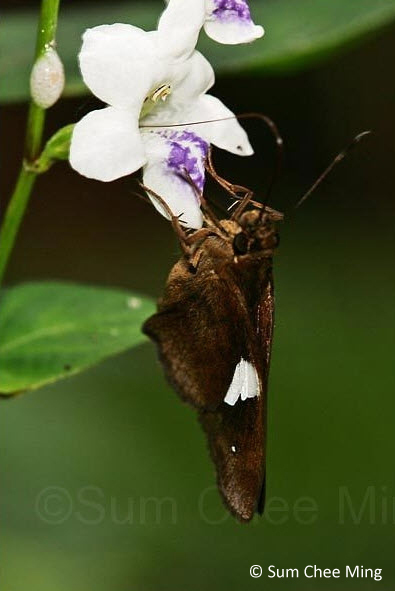 The wings are dark brown/black with a white discal band on the forewings. 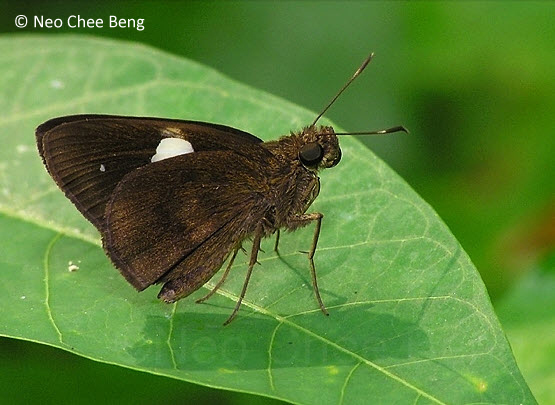 This butterfly is often found flying around shrubs and flowers in bright sunshine, and usually basks in the sun with half-open wings. 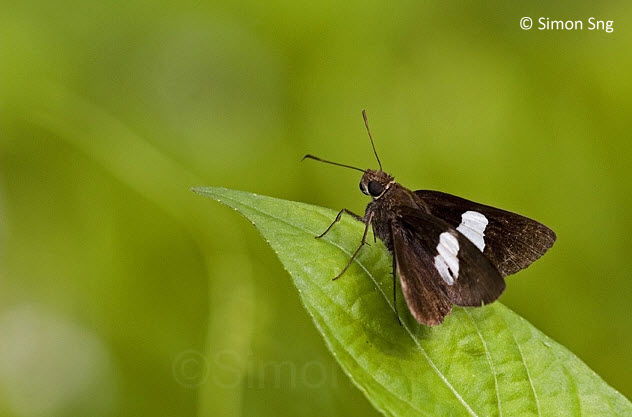 The species is often encountered singly in the nature reserves, feeding on the white flowers of the Common Asystasia. 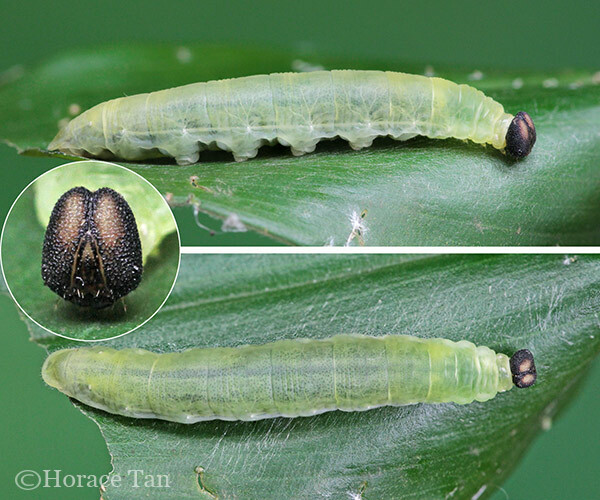 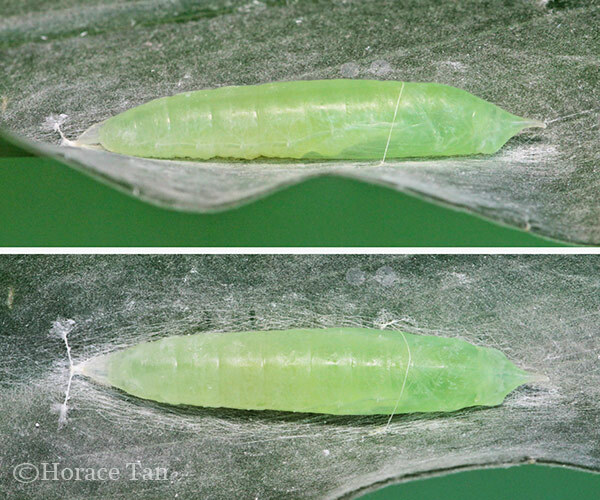 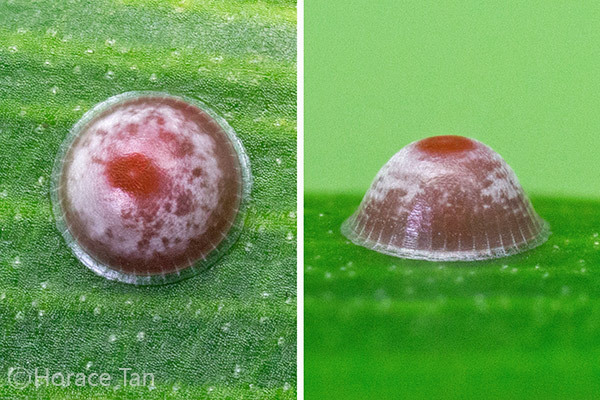 Occasionally, a few individuals can be seen around bamboo clumps which may be the caterpillar host plant of this species. 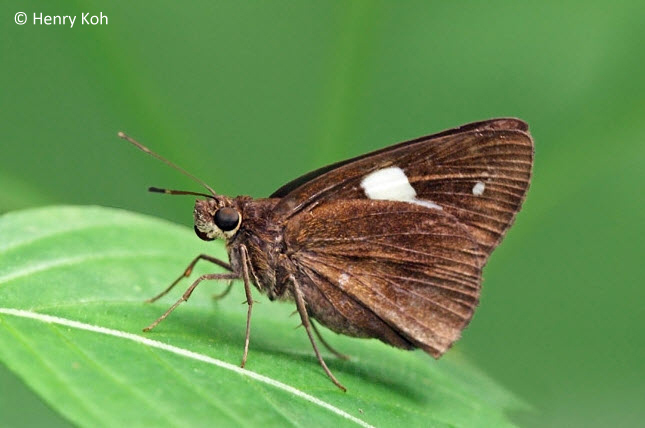 Refer to the ButterflyCircle's blog article - The Life History of the Banded Demon.